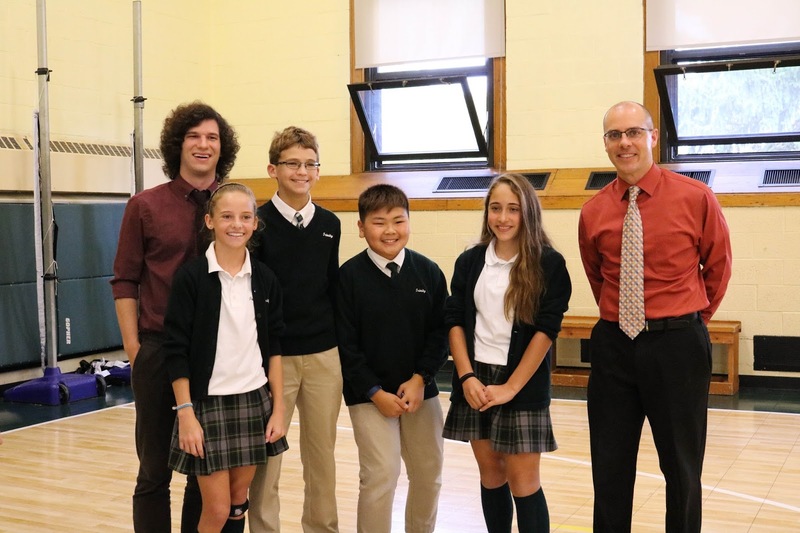 The Student Council Officers and Classroom Representatives were sworn into their offices for the 2017-2018 school year on October 5. 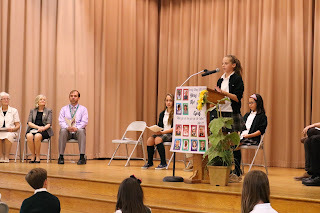 Mimi Mundorf, newly elected president of the Student Council, addressed the student body with a very inspiring speech. 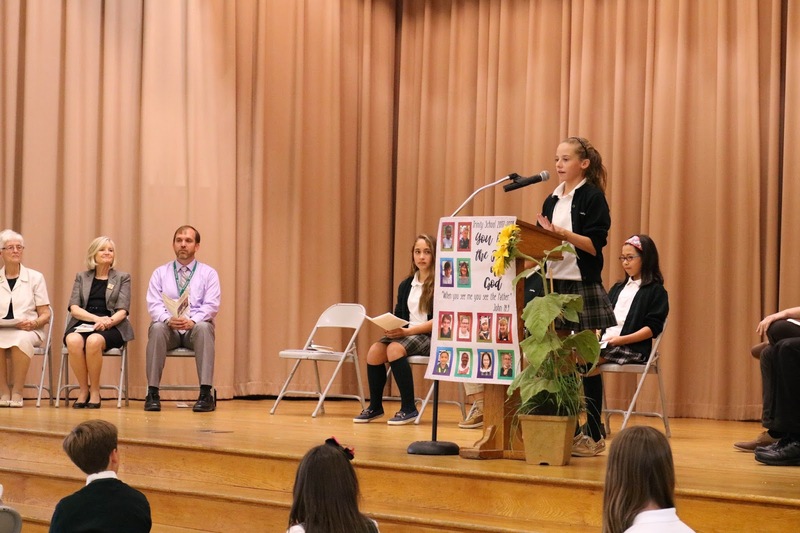 Hello Sister Catherine, Mr. Sloyer, Mrs. Martinez, teachers, staff and fellow students. I am your student council president, Mimi Mundorf and I am so thankful for this opportunity. Thank you to all who voted for me and the rest of the student council making this experience possible for us. Thank you to those of you who believed in me and if you didn’t, then I will make it my goal to persuade you to believe in me, because I believe in every one of you; that’s right everyone. Now, who is excited for this year to begin? Raise your hands. So here is why I am totally psyched for this year. It will be filled with new ideas, activities, and so much more. It will involve teamwork, praise for each individual student and chances for everyone to be themselves and show us who they are. I am so happy that this great school can get even better, but only with the help from you guys. This year is going to be so much fun and everyone will be able to leave their mark on this school, whether it’s academically, athletically or artistically. Together, we can make this school even better, we can make this a great year, and we can make this a place that makes people jump out of bed in the morning and rush to school because they love it so much. We can do a lot of these things, not me, not you, we. Together we can accomplish anything…and that is my plan for this year, to make people believe in themselves, their friends, and everyone. So I hope that you guys are excited for this year and are ready for hopefully the most fun you’ve had at Trinity. Once again, I am student council president, Mimi Mundorf and I am welcoming you to the Trinity School year of 2017-2018, or the golden year. Thank you and don’t forget, believe in yourself because I do.